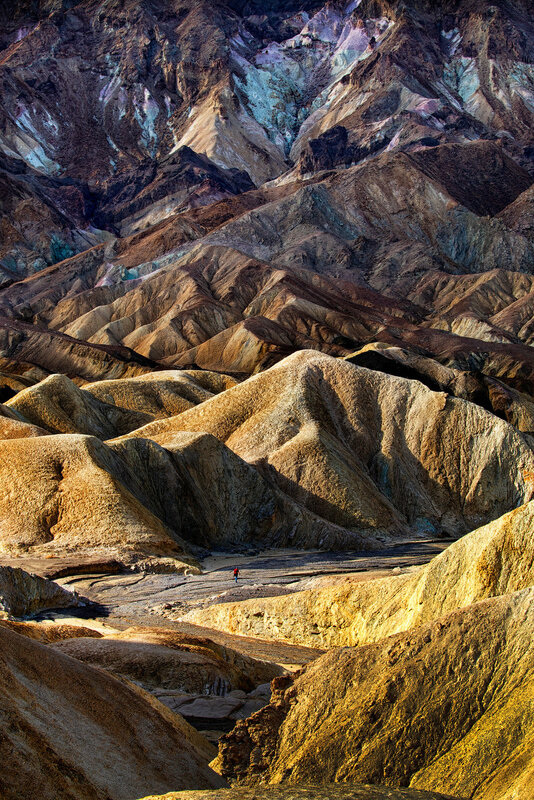 Death Valley has it all for the landscape photographer, from A (Artist’s Drive) to Z (Zabriskie Point), the attentive eye will surely find a unique composition. 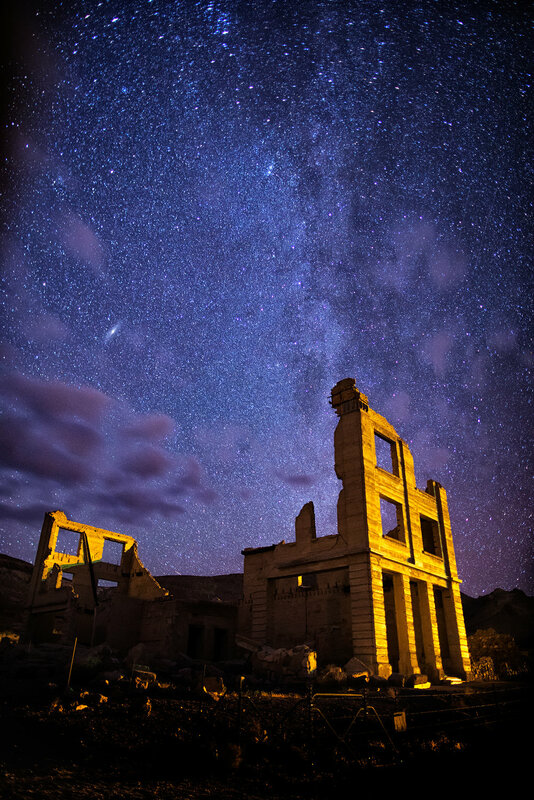 The Death Valley Photography Workshop is appropriate for photographers of average fitness levels. During the course of each day of the workshop we will walk, on average, 5 miles. A variety of terrain will encountered, trails range from improved easy access, to sandy paths, to uneven rock. It is expected for all participants to be able to carry their own personal gear and water during the workshop. Lodging (single occupancy), Field Photography Sessions, Class Session on Digital Image Processing, Critiques, and Image Print Session sponsored by Canon. Box lunches and assorted drinks will be provided on days we are in the park. We strive to pick quality, comfortable lodging that fits with the logistics of the workshop. Most of time the hotels will have a 3 star or better rating. In some cases hotels with that rating level are not located close enough to the workshop location, it those situations the accomodations selected will be best available. 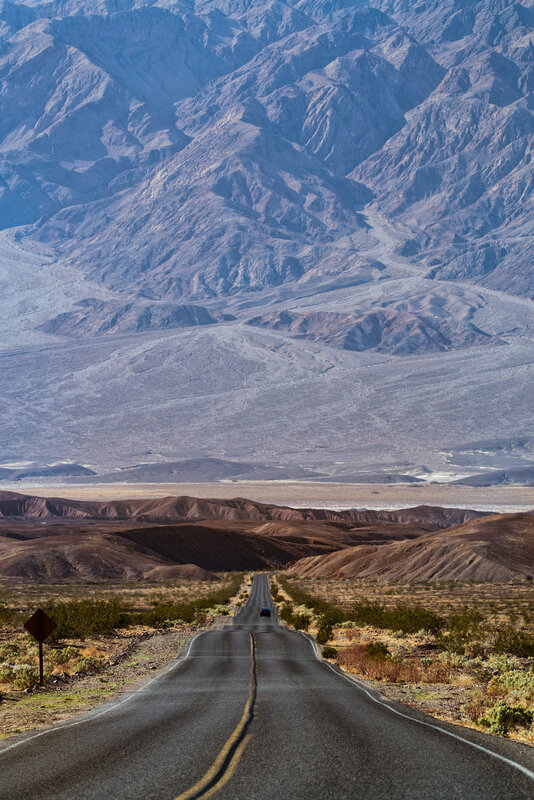 Arrive at Las Vegas McCarran International Airport by 3pm on February 3rd to make the two hour drive to Furnace Creek in Death Valley. If you are planning on driving from Las Vegas to Death Valley here is a map with several routes.